DEBKA Exclusive: The US and Israel were alarmed to learn that Moscow had decided to man the S-300 anti-air missiles sent to Syria with Iranian teams, DEBKAfile’s exclusive sources report. US and Israeli intelligence agencies which brought the news to Washington and Jerusalem also reported that the Russians had begun flying the Iranian operatives over to Syria. Moscow announced the supply of S-300 air defense missiles to Syria in the wake of its row with Israel over the Russian Il-20 spy plane crash on Sept. 17. But, on the quiet, Moscow also decided that they would be operated by Iranian teams. And so Syria received the exact same air defense system that Russia sold to Iran two years ago – the S-300PMU-2 – which was installed for protecting its nuclear sites. American and Israeli military experts were caught by surprise by this discovery, but our sources reported the Russians were giving Syria outdated batteries. One of Moscow’s considerations was that Iranian crews operating the Syrian-based S-300s will be in harm’s instead of Russian teams in the event of US or Israeli aircraft making direct hits on the systems. For Israel this move has both good and bad aspects: On the one hand it will be a relief for Israeli air crews to know that when they go for Syria’s S-300 air defense batteries, they need not fear hurting Russian troops; but, on the other, by managing Syria’s air defenses, Iran further strengthens is military foothold in Syria, which the Netanyahu government is dedicated to rooting out. By the same token, Iran takes Moscow’s decision as an endorsement of its claim to a solid military presence in Syria. 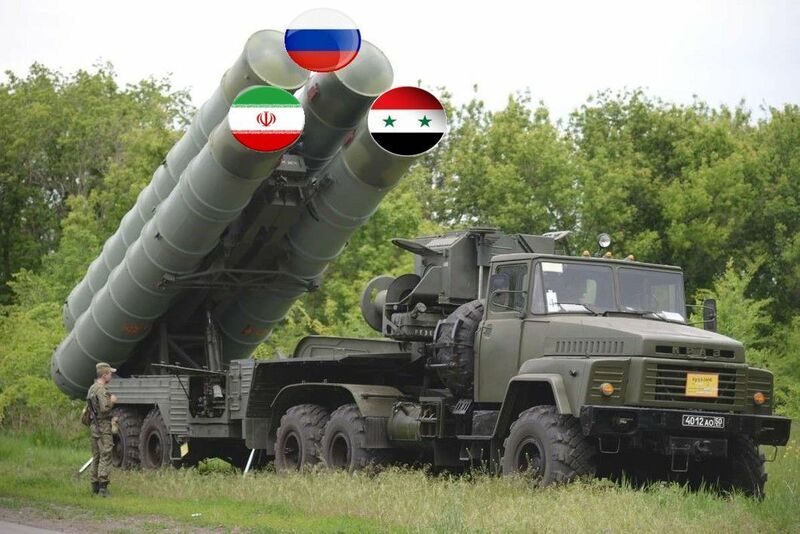 Shortly after DEBKAfile published this revelation on Monday, our military and intelligence sources discovered further that Russia has supplied Syria with three S-300 battalion sets, each consisting of eight launchers with 100 missiles per battalion set. They all underwent major overhauls in Russia’s arms factories. Russia has therefore deployed to Syria a total of 300 anti-air missiles – albeit outdated but in tiptop condition. On Oct. 7, Prime Minister Binyamin Netanyahu said he would soon be meeting with President Vladimir Putin, although a date had not been set. So, while the two leaders continue to smile and go through the motions of amicable relations, Russia continues to shock, surprise and exacerbate tensions with Israel. The coming issue of DEBKA Weekly out on Friday, Oct. 12, will uncover and discuss how the contests in Syria among the US, Russia, Israel and Iran are playing out. If you are not already a DEBKA Weekly subscriber, click here for this special issue.